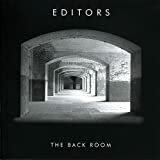 On their 2005 debut, Editors deliver a brilliant post-punk record filled with songs about the darker side of life. Tom Smith has a beautiful voice, which has earned him comparisons to everyone from Ian Curtis to Paul Banks. And his songwriting is superb as well. "Munich" and "Fall" are the highlights of the record, but there isn't a bad track on it.